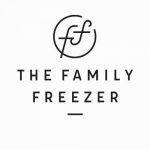 I’m so excited to tell you about something new that we’ve been working on…a freezer cooking membership site! We’re calling it Freezer Meal Pro and it contains all of my blog recipes and cookbook recipes. You can search the recipes by ingredient, protein, diet, keyword, and more, and then create custom grocery shopping lists in seconds. This is freezer cooking made easy, Friends!! CLICK HERE TO SEE FREEZER MEAL PRO AND JOIN TODAY. Will you still be sharing free content on your blog? Yes! Freezer Meal Pro is a paid membership site for people who want to save time and money with freezer meals. 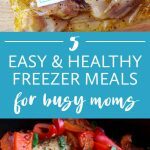 I know that everyone can’t afford to join Freezer Meal Pro, so I will still be sharing free content on my blog and with my email list. New Leaf Wellness is not going to change in any way. Freezer Meal Pro is the only site of its kind. 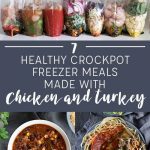 It has over 200 recipes that can be frozen without any cooking ahead of time, plus the ability to search by ingredient, keyword, and diet, review nutritional information, generate custom shopping lists, and more. Will I be able to search by ingredient? My favorite feature is that you can search by protein, cookbook title, cooking method (crockpot, oven, or stovetop), or ingredient. That makes it easy to use up ingredients already in your fridge, freezer, and pantry. How much does a membership cost? Is it a one-time fee or reoccurring? Freezer Meal Pro memberships are on sale for $69 this week and will increase to $97 after that. We have estimated the total value to be over $240 but I don’t think you can put a price on making it easy to feed your family healthy meals. Membership is a one-time fee that gives you unlimited access to our site. 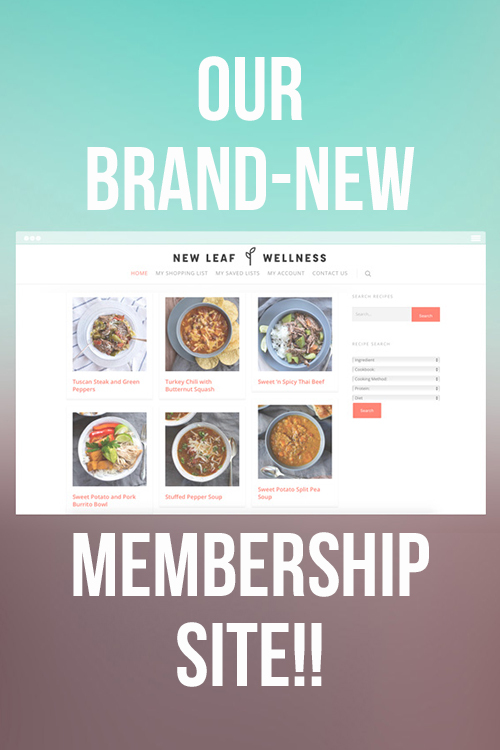 When new recipes are added to the New Leaf Wellness blog they will also be added to Freezer Meal Pro for free. 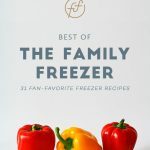 My husband and I have also considered adding collections of freezer meal recipes from other bloggers that can be “unlocked” for a small fee, but we aren’t sure if that will be valuable to you or not. But don’t just take our word for it. Over 1,000 people have already joined! Thank you so much for this feedback, Jill! I will look into it. It sounds like a simple enough request, but I don’t understand all of the tech stuff that go into making it happen. I will talk to my husband and have him add it to his list!